@Cheersandhth.-Alf, @Tyker, @NickyC - See [why does the use of new cause memory leaks](https://stackoverflow.com/questions/8839943/why-does-the-use-of-new-cause-memory-leaks). 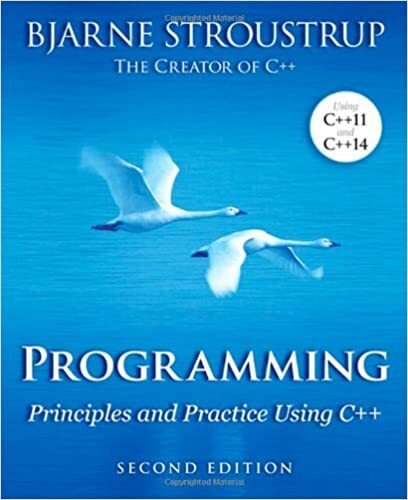 Also, I recommend you read a beginners book on C++, such as [Stroustrup's Programming: Principles and Practice Using C++](https://www.amazon.com/Programming-Principles-Practice-Using-2nd/dp/0321992784/ref=dp_ob_title_bk?dpID=51j679vpDGL&preST=_SX218_BO1,204,203,200_QL40_&dpSrc=detail) which very clearly states on p. 600 that not using `delete` **causes a memory leak. ** You usually should not rely on OS-freeing. The C++ Standard (INCITS/ISO/IEC 14882-2011) This, of course, is the final arbiter of all that is or isn't C++. Be aware, however, that it is intended purely as a reference for experienced users willing to devote considerable time and effort to its understanding. As usual, the first release was quite expensive ($300+ US), but it has now been released in electronic form for $60US. Overview of the New C++ (C++11/14) (PDF only) (Scott Meyers) (updated for C++1y/C++14) These are the presentation materials (slides and some lecture notes) of a three-day training course offered by Scott Meyers, who's a highly respected author on C++. Even though the list of items is short, the quality is high. The C++ Core Guidelines (C++11/14/17/…) (edited by Bjarne Stroustrup and Herb Sutter) is an evolving online document consisting of a set of guidelines for using modern C++ well. The guidelines are focused on relatively higher-level issues, such as interfaces, resource management, memory management and concurrency affecting application architecture and library design. The project was announced at CppCon'15 by Bjarne Stroustrup and others and welcomes contributions from the community. Most guidelines are supplemented with a rationale and examples as well as discussions of possible tool support. Many rules are designed specifically to be automatically checkable by static analysis tools. cppreference.com (C++03/11/14/17/…) (initiated by Nate Kohl) is a wiki that summarizes the basic core-language features and has extensive documentation of the C++ standard library. The documentation is very precise but is easier to read than the official standard document and provides better navigation due to its wiki nature. The project documents all versions of the C++ standard and the site allows filtering the display for a specific version. The project was presented by Nate Kohl at CppCon'14. Advanced C++ Programming Styles and Idioms (James Coplien) A predecessor of the pattern movement, it describes many C++-specific “idioms”. It's certainly a very good book and might still be worth a read if you can spare the time, but quite old and not up-to-date with current C++. The Annotated C++ Reference Manual (Bjarne Stroustrup, Margaret A. Ellis) This book is quite outdated in the fact that it explores the 1989 C++ 2.0 version - Templates, exceptions, namespaces and new casts were not yet introduced. Saying that however, this book goes through the entire C++ standard of the time explaining the rationale, the possible implementations and features of the language. This is not a book to learn programming principles and patterns on C++, but to understand every aspect of the C++ language. As pointed in all the comments on your question, your error occurs because you wrote your code out of a main function. Each C++ program must have it. By the way, here are good practices for free (found also in comments). Use std::array instead of C-array if you know the size at compile-time (and I believe you do). Avoid using namespace std; because it's bad. Be sure that you do well all your includes : #include <string>, #include <vector> and #include <array> if using-so. If you're a C++ beginner, I suggest C++ Primer, updated for C++11. If your a complete beginner, Programming: Principles and Practice Using C++.